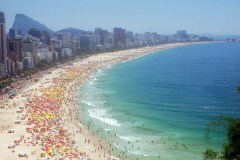 Visit Rio’s iconic sites, including Copacabana Beach, Christ the Redeemer and Sugarloaf Mountain. Day 1: Santiago arrival transfer. 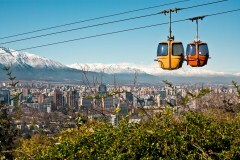 Day 2: Exclusive Santiago Tour. Day 3: Santiago to Rio. 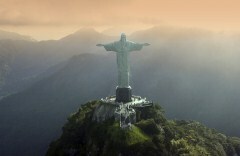 Day 4: Corcovado ‘Christ the Redeemer’ tour & Santa Teresa. 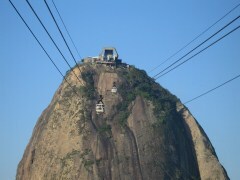 Day 5: Sugarloaf Mountain tour. Day 6: Rio to Iguazu. Day 7: Argentinean Falls tour. 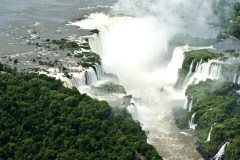 Day 8: Iguazu – Buenos Aires. Day 9: Buenos Aires - Centro, San Telmo & Boca half day tour. Evening Tango show. 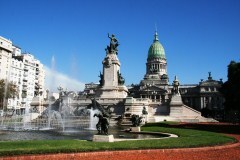 Day 10: Buenos Aires - Recoleta & Palermo half day tour. Enjoy the sun at some of Brazil's best beaches in Ilha Grande & Paraty. Add on a few extra days to explore Uruguay. Visit an estancia in the beautiful Argentinean countryside! * As an alternative to this traditional city tour, we can also offer the city tour as a walking or bike riding tour. Let us know if you’d like more details on these options. Our representative will pick you up from your hotel and transfer you to Santiago airport for your flight to Rio de Janeiro. You will be met and transferred to your beachside hotel and enjoy the evening at your leisure. We recommend trying a local churrasco (Brazilian BBQ) for dinner.